Only problem was, November was over and I had reached 50,000 words, but my story wasn’t finished. I had a beginning and a whole lot of middle, but no ending! 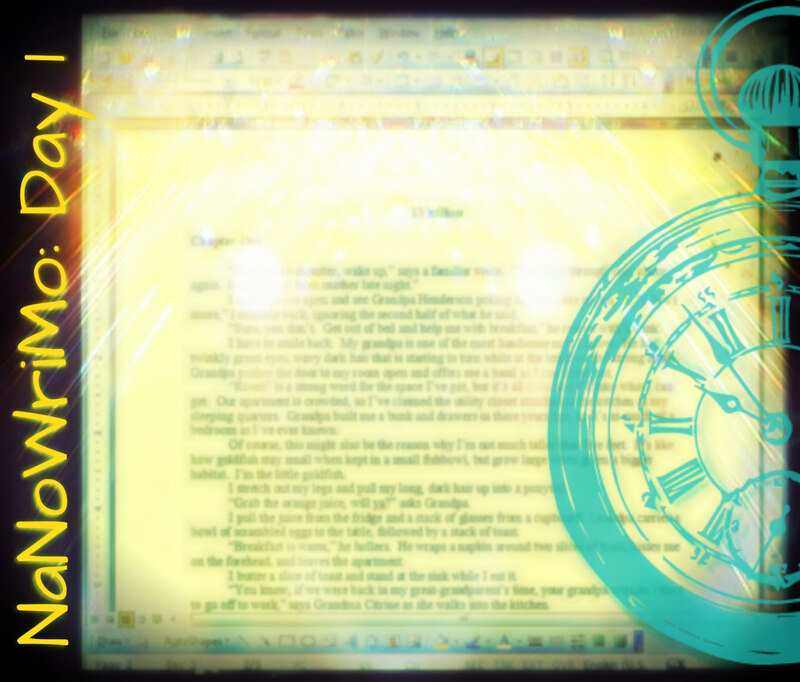 Without the accountability of NaNoWriMo, I didn’t have the motivation to continue writing. And to be honest, I wasn’t too sure about how my novel was supposed to end, anyhow. I would add little bits and pieces here and there, but the conclusion always seemed out of reach. Recently, I decided that I was going to do it. I was going to finish my novel. So guess what? I did! I typed out the ending on my iPad mini (one finger typing, no less!) all while nursing my baby. For some reason, it all came together and three pages later, I had an ending. Final word count: 61,113 words. It feels really good to have given my characters and plot a resolution. Is this book going to make me rich?! Of course not (much to my husband’s dismay! ), but I completed a goal, and that’s gotta count for something, right? With a new baby set to arrive any day now, I will obviously not be participating in NaNoWriMo this year. Last year was my first experience with National Novel Writing Month, and I absolutely enjoyed the experience. It was so cool to be a part of a writing community where everyone was excited about writing and supportive of one another. It was also cool to accomplish my goal of writing 50,000 words in a single month. While I won’t be participating, I do want to offer up some helpful links to those of you who will be participating this year. NaNoWriMo homepage: If you haven’t signed up yet, or if you’re not sure what NaNoWriMo is all about, make sure you start here. Need a spark to get your imagination going? Try the Writer Igniter at the DIY MFA website. It randomly selects a character, situation, prop, and setting for you to work with. Want to publish your masterpiece once it’s finished? I’ve had great experiences with Blurb. I’ve created scrapbooks, a wedding album, and a full text novel with the website’s free, downloadable software. It looks like Blurb is amping up for NaNoWriMo too. They’ve recently added new templates for novels. Best wishes to all of you future novelists out there! You can do it! The founder of NaNoWriMo sent an e-mail yesterday asking writers, “Who encouraged your writing when you were a kid?” The reason for the question is because the NaNoWriMo organization is in the process of raising funds for the Young Writers Program. The e-mail caught my attention because of the question, and it got me thinking about when writing became important to me. The first thing that came to my mind was 7th grade English class with Mr. Smith. Mr. Smith had been teaching a long time—so long, in fact, that he would sometimes distribute copies that had purple ink (mimeograph, I believe it’s called?). There was no technology in the classroom, and he still wrote everything up on a chalkboard rather than a whiteboard. We had assigned seats—alphabetical, of course—and we stayed in those seats the entire school year. While the class wasn’t very stimulating, I kind of loved it because it was easy! I sat in the back row (one of the joys of having a last name that started with a “W”) and wrote stories in a notebook while Mr. Smith talked. This is when I really started writing complete stories and got interested in putting my own ideas on to paper. While Mr. Smith himself wasn’t actively encouraging me to write, his class period did provide me with the time to write. When it comes to more active encouragement, I think my mom was always supportive of the things that I wrote. She thought my 7th grade science lab report about a frog dissection was so funny that she sent copies to relatives! I also made her a book for Christmas when I was younger based on the song “I Saw Mommy Kissing Santa Claus” that made her laugh so hard, she cried! In college, I made her another book based on a family inside-joke. I made it into a hard cover book using Blurb. Several other family members decided they wanted copies of it as well. While I sometimes feel embarrassed about writing and reluctant to share it, the truth is, my family has always been supportive of my writing. Now, I just need to get brave enough to share more of it! So who encouraged your writing? Writing or Rock and Roll? A recent e-mail from the National Novel Writing Month organization reminded me that the deadline to cash in on my winner goodies is fast approaching. As a participant who completed 50,000 words in the month of November, I can create and order two free paperback copies of my original novel through CreateSpace. Only problem is, the deadline to order is the end of June, and my novel still isn’t finished yet. I’ve written a bit here and there since November, but I lost momentum when I didn’t have the seemingly-impossible word count looming over me. Now that I’ve got another deadline, it’s time to pick up where I left off and whip my novel into fighting shape. I’m really struggling to write the ending of the story. In fact, I’m simultaneously watching the 2014 Rock and Roll Hall of Fame induction ceremony on HBO and typing up this blog post just to procrastinate! I’ve written 443 words in almost two and a half hours—not too shabby, but I’ve still got a ways to go. I hope inspiration strikes soon so I can complete my novel, give it a (super) quick once-over for revisions and editing, and upload it to CreateSpace in time. It won’t be the prettiest thing you’ve ever seen, but it will be all mine! How about you other NaNoWriMo participants? Have you completed your novels? Has anyone ordered their books through CreateSpace? What did you think of the service and quality? After some catching up last weekend, I was right on track to finish by November 30th. Only problem was, I was going home to visit my family for Thanksgiving—it would be rude to tell my family I couldn’t spend time with them and seclude myself somewhere with my laptop. I had ideas of grandeur that I would finish writing in the two and half hour car ride to my parents’ house, but instead I spent most of the time singing along to the great 90s music station my husband found. Who can focus on writing with great music like TLC’s “Waterfalls,” Spin Doctors’ “Little Miss Can’t Be Wrong,” and Savage Garden’s “Cherry Cola”?! With only 2,000 words left to write, I was able to balance family time with a bit of writing in the evenings and achieved my 50,000 word goal by Friday, November 29th. It was exhilarating to know that I had accomplished my goal—a goal that felt so far out of reach in week three. My story isn’t finished yet, so I plan to keep writing and finish the rough draft before moving on to any revising and editing. My novel has taken a strange turn at the end that I’m not sure I like, but I didn’t want to delete it and risk not getting to the final word count. I’ve really enjoyed checking out all the blog posts on WordPress with references to NaNoWriMo. It was fun to be part of a community and take on a challenge together. Plus, it was a great way to procrastinate while writing! Congratulations to everyone else who took part in NaNoWriMo. 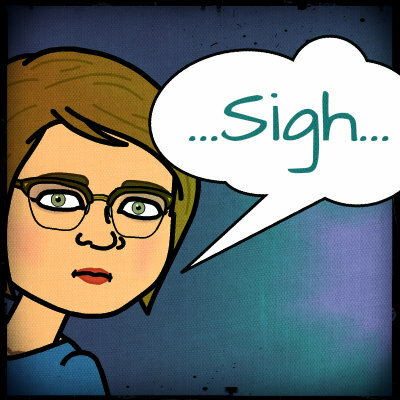 The last 275 words of my daily word count goal are always the hardest to write. Inspiration tends to strike just as I’m finally ready to go to bed. Clicking on Word Count in Microsoft Word does not automatically result in more words magically appearing on the page. I should have outlined a LOT more! I work better when I write on paper and then transfer it to my computer. Here’s to many more days of writing, learning, and growing! This year I decided to take part in NaNoWriMo (National Novel Writing Month) for the first time. A student told me about NaNoWriMo last year, but I just didn’t have the time or energy to participate. This year is a different story though, and I’m excited to take on the challenge of writing 50,000 words in one month. Excited…nervous…anxious…panicky…and it’s only the first day! I can already tell this experience will be an emotional roller coaster! As October 31 rolled into November 1, I earnestly began typing the first chapter of my story. An hour and ten minutes and 1,087 words later, I called it a night. During the late afternoon of November 1, I had time again to write and was able to sneak past the first day’s word count. I feel like I accomplished something special today, but I’m worried that I won’t be able to keep up the same pace throughout the month. What if I get writer’s block? What if my plot seems to go nowhere? What if I don’t have time to write every day? The only thing I can do is keep moving forward and try my best. Good luck to everyone else who is participating in NaNoWriMo. I’m thrilled to be a part of the ride!